I run my practice from a quiet, attractive dedicated counselling room attached to my house. There is parking directly outside the room. 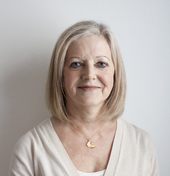 I have been a qualified therapist for over 20 years , working in the NHS and private practice. I set up and ran a counselling service for 17 years for Colchester Hospital University Foundation Trust, working with people who are living with a cancer diagnosis. I have extensive experience of working with women who have breast cancer. Through my NHS practice and my private practice I have gained a wide experience of working with a diverse range of clients who have many different issues and problems. I left the Trust in June 2015 to pursue my private practice.